It’s been a wild and crazy summer. I have been traveling in the air, on the ground, and across the waterways of the Great Lakes. 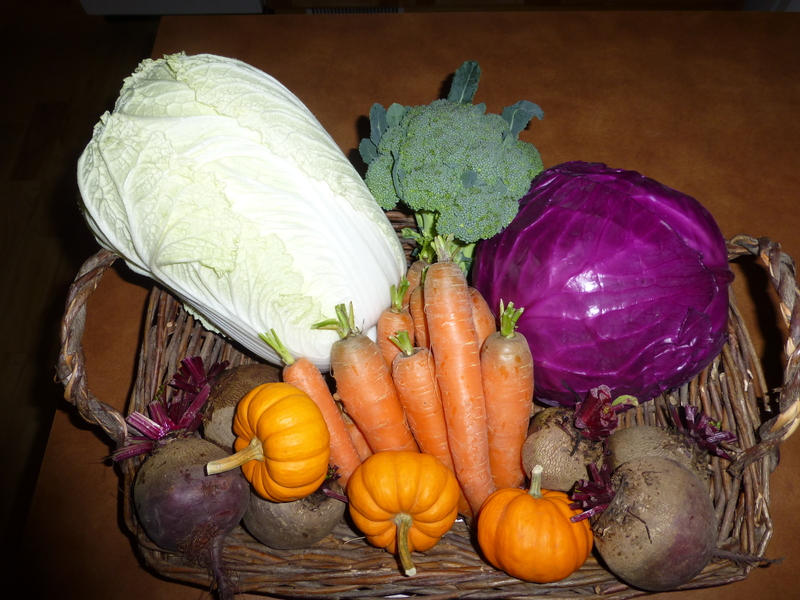 It is that time now, however, that we in the North woods think about settling down and tucking in for the winter, and gathering the resources we need for the short days and long nights ahead. It’s a really good time to write, and to think about ways to promote what I have already written. If you have any ideas about how to get Into These Hands, Wisdom From Midwives into the hands of a broader audience please let me know. It’s a great read. 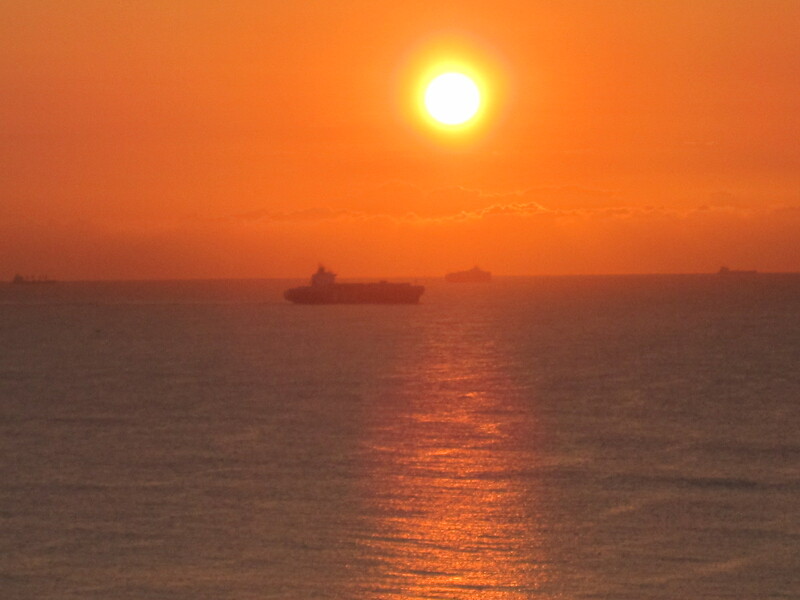 Be well, especially those who are on the East coast battling hurricane Sandy. I met one of my activist heros at the 2nd International Indigenous Women’s Health Conference held in Albuquerque last month. Buffy Sainte-Marie made history with her song—Universal Soldier—during the Vietnam War era. The song was actually about the individual responsibility we all share for war, for making, financing or sustaining wars. Her song won her fame in the anti-war movement, but as a Canadian Cree singer and songwriter, it also got her banned from many U.S. concert and educational venues. That song is what she is most known for—but Buffy remained an activist on many fronts for the next four decades using her music and poetry to educate and affect social change, and to work for the rights of indigenous people and their lands. Buffy was a keynote speaker at the Indigenous Women’s Health Conference. I was there to represent Healthy Native Babies, a SIDS risk-reduction program sponsored by the National Institute of Health. I have been a co-designer and consultant for this project since its inception over eight years ago. I had the great good fortune to hear Buffy speak and sing, and then to offer her a signed copy of my book as a gift for her years of activism on the planet. I figured she would love to read about the courageous midwives who have been relentlessly working and advocating for women’s rights during the same time period in which Buffy has been working for human rights. 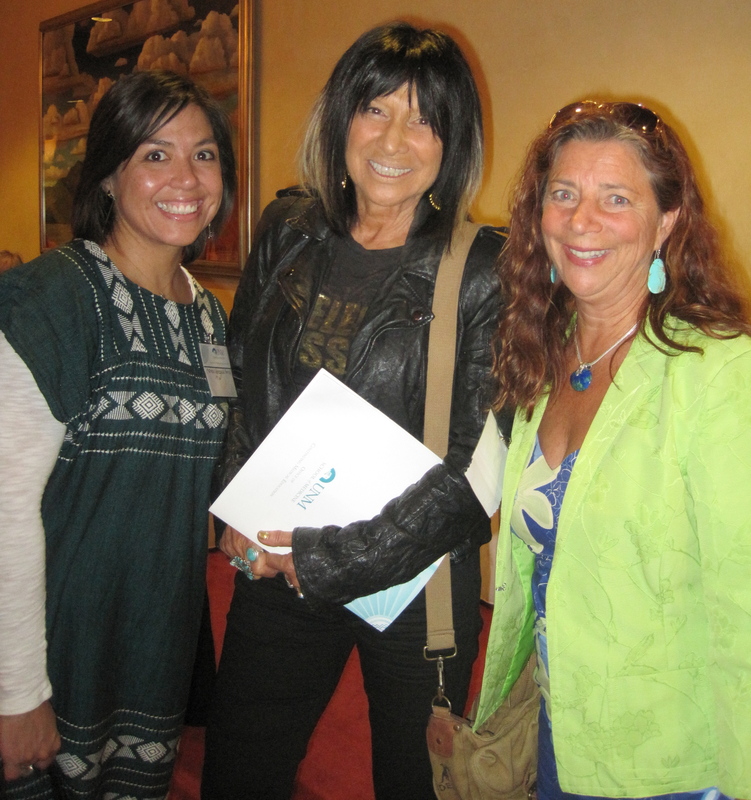 It was real honor and very exciting to stand next to Buffy Sainte-Marie and to send her home with my book! 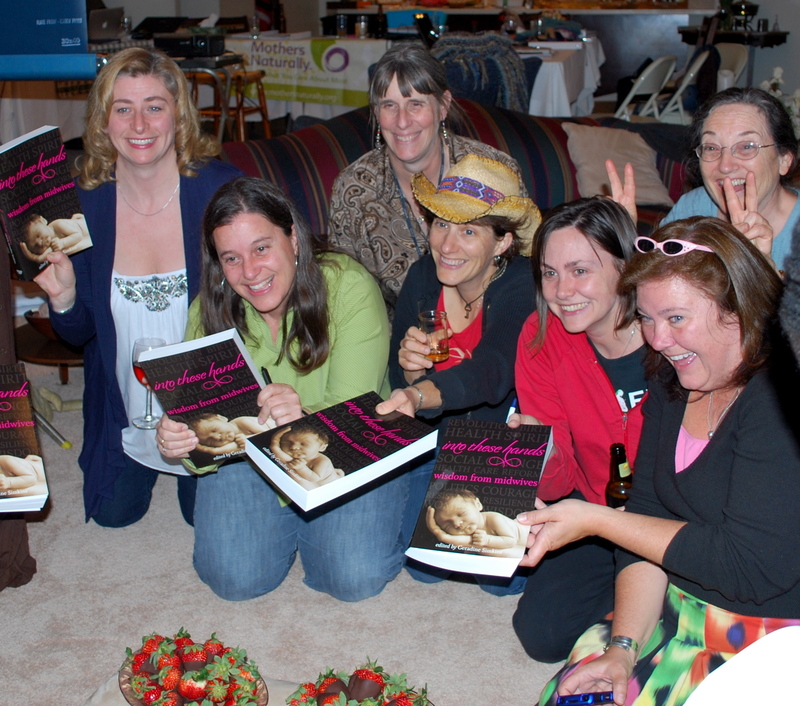 first book—Into These Hands, Wisdom From Midwives—was finally published in Spring 2011. As it turned out, the first people to see it in print were the Board of Directors of the Midwives Alliance. Our spring board meeting was held in Ohio at the gorgeous handmade dream home of Abby J. Kinne, one of the co-authors in my book, and a former MANA board member. Abby and I had served on the MANA board for many years together in a variety of capacities, most recently when she was 1st Vice President, Diane Holzer was President, and I was 2nd Vice President. We were a dynamic trio with very different personalities and skill sets that blended to make a rather lively and effective leadership team for MANA. Among the many things we did together was to create the framework for the Division of Research, authoring the first draft of the document that described the structure and function of the MANA DOR so that the Division could get up and running. Linda McHale and me (Geradine Simkins.) It was one of the most exciting, emotional, proud, humbling, and amazing moments of my life. Abby was a gracious host, sharing her home, land, pond, and sanctuary with the MANA board. Abby willingly accepted my invitation to be one of the co-authors for my book. But somewhere between her acceptance and her commitment to write her memoir, her beloved firstborn son, Rick, was killed in a motorcycle accident. As you would expect—Abby did not feel that she could go on. She was in a deep depression and could not function well much less write a memoir. I encouraged, cajoled, and begged her to write. I said that her living children deserved to hear her story, to have her legacy, in her own words. Reluctantly, Abby agreed. And what happened is that Abby wrote, and wrote, and wrote. It was cathartic. She told her story; the story of her loved ones, and included photos of her family throughout. In the end Abby thanked me for pushing her because writing her story was one of the most therapeutic things she could have done. Each time she included a piece about Rick in her memoir she released a piece of her grief and replaced it with celebration of Rick’s life. Here is a sketch that illustrates this point. On one occasion, our oldest son, Rick demonstrated to us just how deeply affected he had been by having a midwife for a mother. He was sixteen at the time, and we had been living in a barn with an open floor plan. I taught childbirth education classes there each week. There were no walls in the barn, and the children had to retreat to their rooms in the loft to quietly read or play so I could teach class. On this occasion I had been at a birth that day, but the baby had been born, so I called home to ask Rick to tell my students that I would be late. I suggested that he show them a birth video while waiting for me to arrive. When I arrived home, I discovered Rick teaching my class, using my outline! He told me he had heard me teach it so many times from his bed in the loft that he knew it all by heart. He even asked one of the women if he could palpate her baby. Now, how many teenage boys would have done that? working with her colleagues. She appeared healthy and no one suspected anything odd. In the morning, today, her husband Fred discovered that she was gone—passed on to the Other Side. I share this story to honor my esteemed colleague and beloved friend, and to celebrate a small piece of her extraordinary and rich life. Abby, dear one, travel well and safely into the Next World. Ashe. Erykah Badu has my book! Badu. Since I grew up in Detroit during the Motown Era, Sean thought I would appreciate the eccentric neo-soul, hip-hop jazz sound of the Queen of Neo. He was right—I loved her music. And Erykah’s unique sense of fashion also intrigued me. 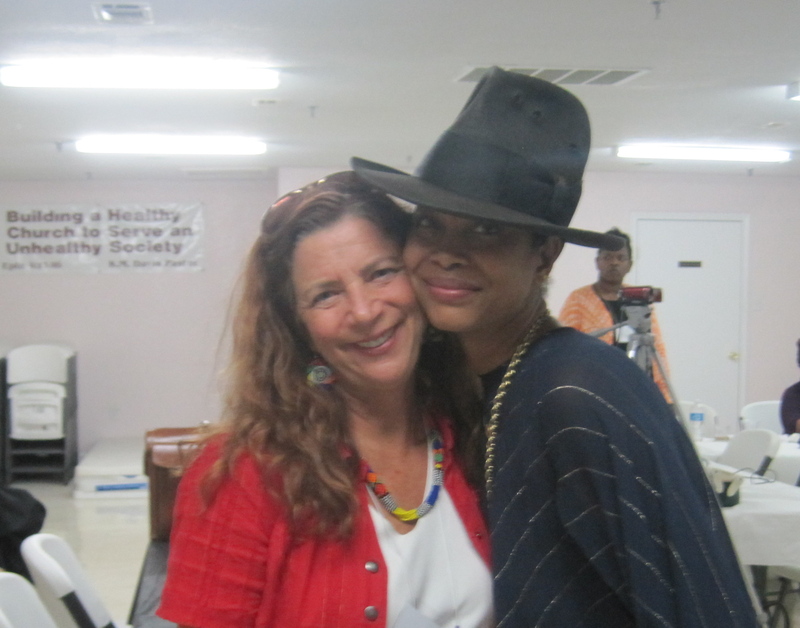 Never did I imagine that a decade later Erykah Badu would become the Spokeswoman for the International Center for Traditional Childbearing (Black Midwives and Healers) and a midwife aspirant herself. I also could not have imagined that I would have written a book about midwives and would be gifting Erykah with a copy of my book. Erykah and I met at the ICTC conference in Biloxi Mississippi last month. 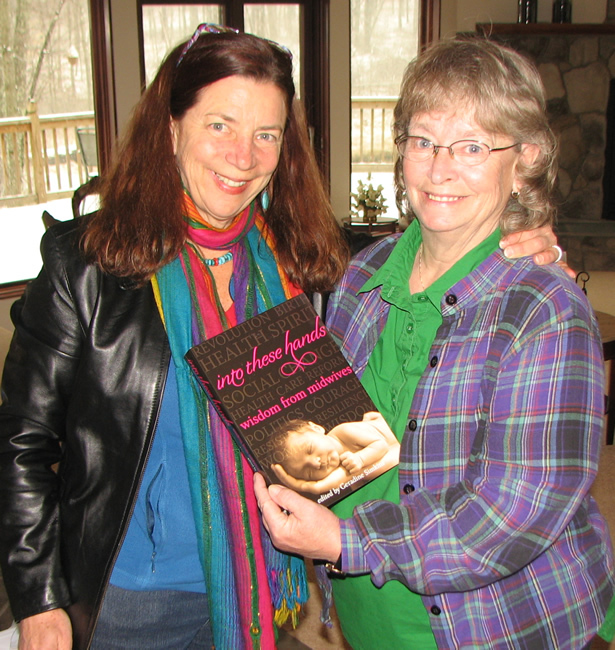 When I gave her an autographed copy she hugged me and said that she was going to take it to bed with her because she loves to read stories about midwives. She also said she’d call me if she had any questions. I said, “For you, I’d pick up the phone any time of the day or night.” Wouldn’t that be fun—to get a call from the Queen of Neo? In the triennium between 2008-2011, the ICM developed a group of essential documents through hard work by the Board, guidance from consultants who directed expert task forces, and support and participation by ICM member associations. These documents describe the “Three Pillars” of midwifery, which are education, regulation and association—E.R.A. The Three Pillars are interdependent. The Three Pillars embody ICM’s vision to strengthen midwifery worldwide in order to provide high-quality, evidence-based care for women, newborns, and childbearing families and decrease maternal and infant mortality. The documents together comprise the global standard for midwifery. The global standards were endorsed by the ICM Council members. You can imagine how thrilled I was to be selected to present my book material at such an auspicious meeting as this historic meeting in Durban, with midwives from around the world. It was an honor and very exciting. The presentation was well received. 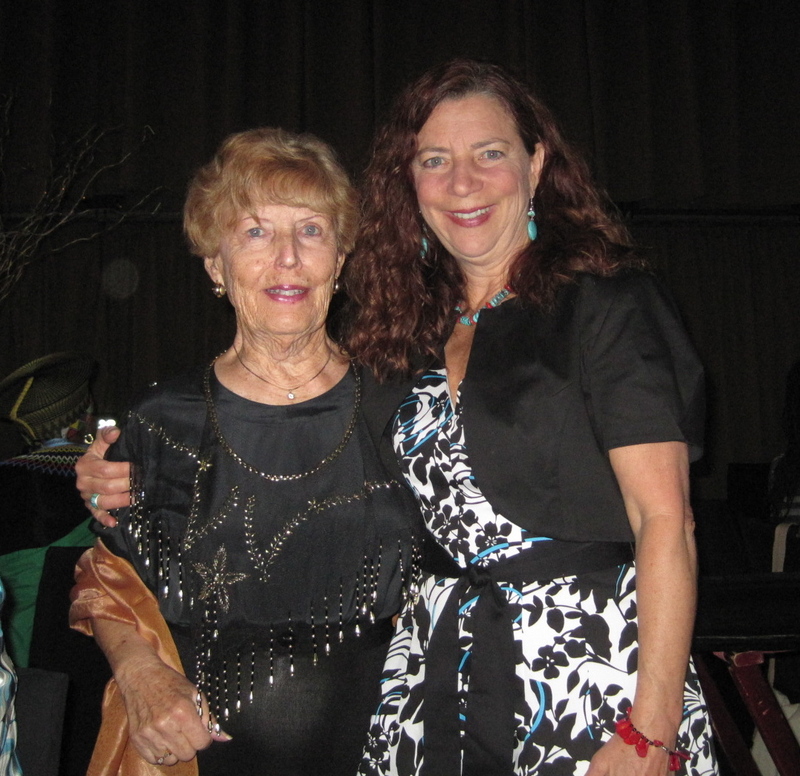 In addition, my mother had also traveled to South Africa—in part to hear me give my presentation on the international stage—and so I was doubly thrilled to have her in the audience when I gave my talk. It was a very exciting and memorable day—and in addition, it was my birthday! 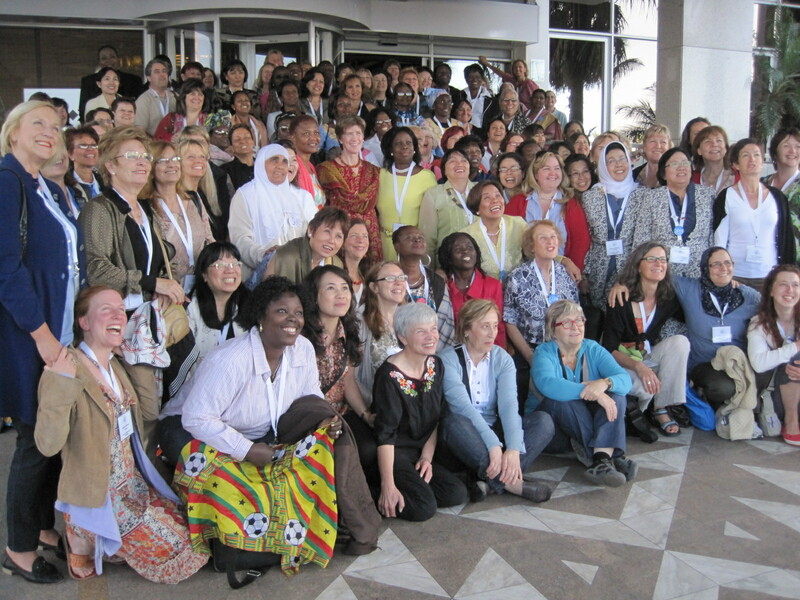 It was exhilarating to see the numerous international partners who attended the International Confederation of Midwives (ICM) meetings in Durban, such as the World Health Organization, United Nations agencies, the International Federation of Gynecology and Obstetrics, the White Ribbon Alliance, ministers of health, significant funders, and more. 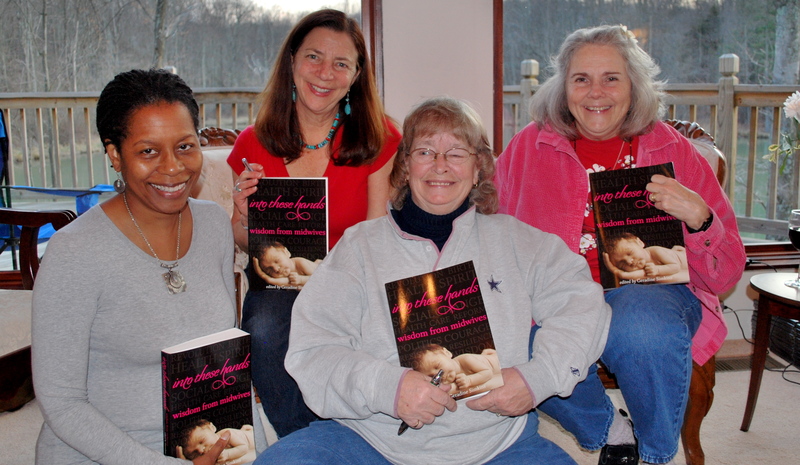 And the buzz was loud and clear: Midwives provide the best community-based reproductive care to women and newborns. And midwives save women’s lives around the world, every day. Currently, it is an exciting window of opportunity for midwives and the clients we serve. Numerous international healthcare organizations, governments, ministries of health, and funding agencies across the globe are in agreement that the world needs midwives now more than ever—in fact 350,000 of them—and they are willing to direct their money, organizational energy, and polices towards this goal. 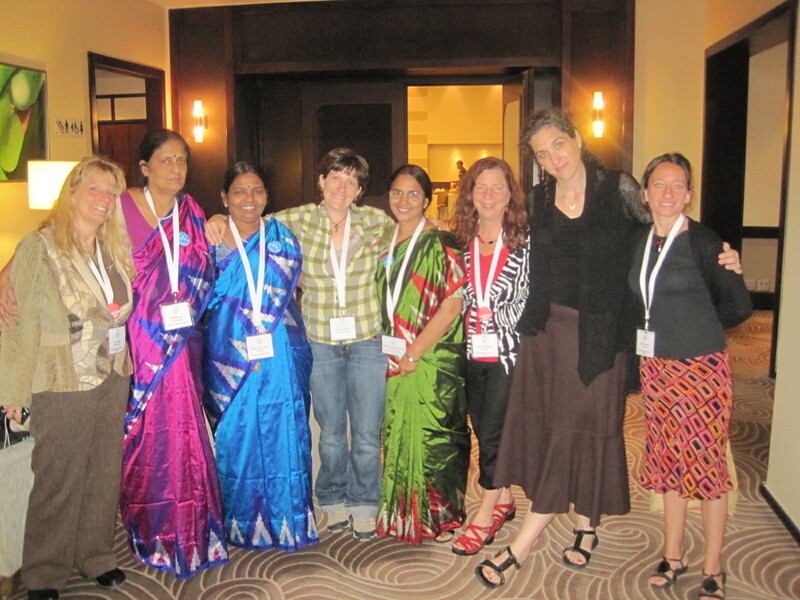 It is a time of unprecedented support for midwifery globally. The summer flew by in a flash of pulsating movement and spectacular color. 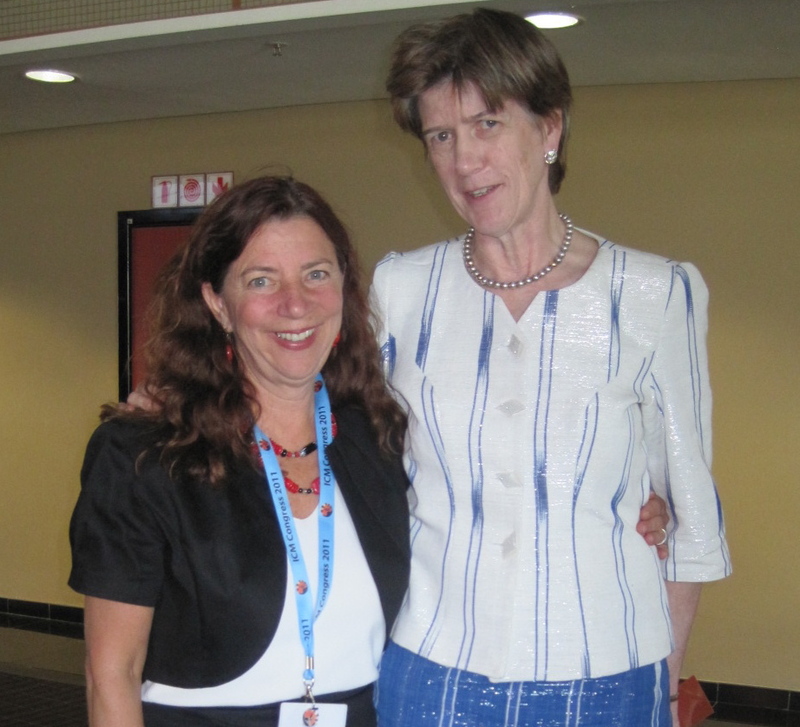 I spent the month of June in South Africa at the Council meeting of the International Confederation of Midwives (ICM), and then at the ICM Congress. The meetings were held in Durban. Africa was amazing, in all ways. The thing about Africa is the immensity of it—its size, its history, its place in human evolution, its rich cultures, its cultural wars, its social and political problems, its beauty, and its diversity. It is huge; Africa, in all her aspects is huge. And South Africa is an amazing country, more beautiful, diverse, and complex than I had ever imagined. There was so much to learn, so much to understand, so much to assimilate amidst the ever-present tenor of the challenging transition from the system of apartheid to majority rule. The1994 democratic election in South Africa resulted in a change of government, a change of guard, and an era of inspiration and hope. Yet almost twenty years later many challenges remain. It was the perfect place for the ICM Council and Congress meetings to be held because just as South Africa finds herself at a crossroads, so too is the global midwifery movement at a potent intersection. We were fortunate to attend the historic ICM meetings because the ICM had never before been held on the African continent, and the ICM has never been as powerful as it is now and so well connected to international partners. And the pleasure of spending a week in the “midwife village,” hosted by the gracious and generous South African midwives, amidst the thousands of others who made the pilgrimage to the Motherland was a thrill. 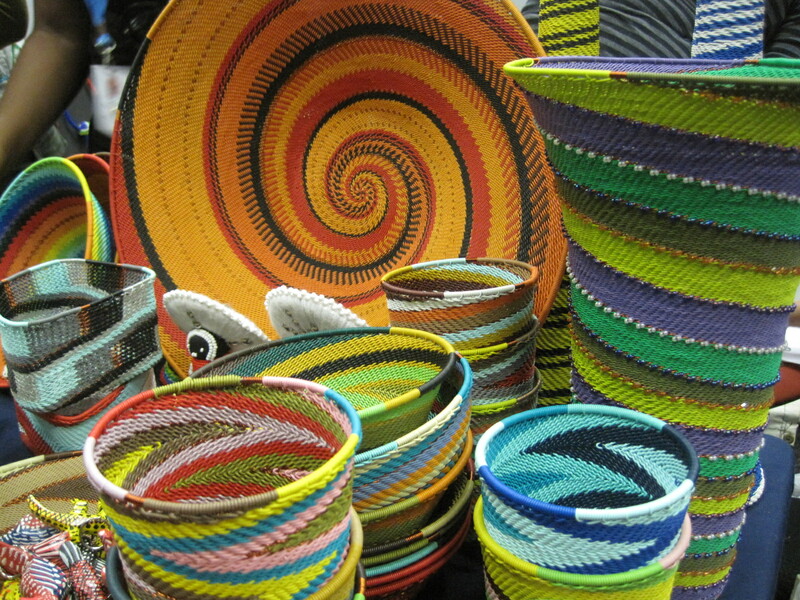 The colors, songs, stories, perspectives, languages, lessons, and landscapes still swirl in my mind and heart.